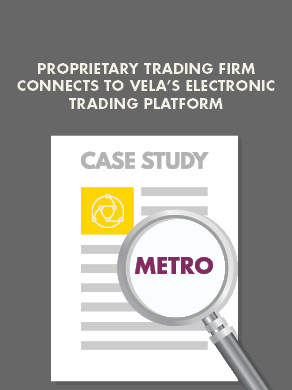 New York, Chicago, London – August 16, 2018 – Vela, a leading independent provider of trading and market access technology for global multi-asset electronic trading, is pleased to announce that Peggy Sullivan, who served as a consultant to the Company since October 2017, has joined as Chief of Staff. Based out of Vela’s headquarters in New York and reporting to CEO Jennifer Nayar, Peggy’s key responsibilities include establishing strong strategic partnerships, advising on market structure challenges and developments, building trusted relationships with key accounts, identifying opportunities to improve service delivery, and collaborating with the wider executive team on strategy and product innovation while also representing Vela across a number of industry groups and trade associations. Prior to Vela, Peggy spent much of her career at the New York Stock Exchange. She held leadership positions working with the National Market System. She served as the Administrator to the Consolidated Tape Association and the Head of Market Data Administration for NYSE, Arca, MKT, markets real-time products. Her previous role included managing several teams responsible for product support, contracting, customer service, and market data regulatory policy, as well as account management, global market data operations, and market data compliance. In addition, she held several other positions in trading and technology at Credit Suisse, Dow Jones Telerate, and Merrill Lynch. Peggy holds a BS in Political Science from Loyola College in Baltimore MD.